Bobby Newman shot a final round 4-under par 68 to win the Spartanburg County Senior. 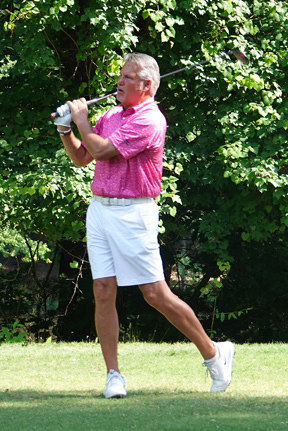 Bobby Newman had a good feeling coming into the Spartanburg County Senior Amateur at the Carolina Country Club. Newman shot a 65 in his practice round and decided he was ready to try to win his fourth Senior Amateur. His premonition turned to reality as Newman birdied the final hole to win his fourth County Senior Am. “I’m playing the best golf I have played in years, maybe ever,” said Newman. “I’m 60 now and I think I’m playing better than I did year’s ago,” he said. Newman came into the final round of the championship trailing defending champion Doug Ramey by a shot. After a bogey on the first hole Newman parred every hole on the front nine and took the lead making the turn. “After I got the lead things got a little crazy starting on number 13. It just went back and forth the rest of the way,” he said. Newman birdied number 16, but gave it right back with a bogey on 17. Former champion Stan Sill birdied the final hole to tie Bill Gee for second place. Going to the final hole Newman was tied with Bill Gee, who finished at 4-under par. Also in the hunt was former champion Stan Sill, playing in the group with Newman, was at 3-under par. On the final hole Sill made the green with his second shot and had a 20 foot putt for an eagle and a potential tie. Newman found the front bunker with his second shot. He escaped the bunker and was left with a 12 foot birdie putt to break the tie. “I was trying for the green, but being in the bunker wasn’t too bad. I hit a good shot out and left myself a chance to win if Stan didn’t make his putt,” he said. Sill’s eagle attempt came up just a few inches short and he finished with a birdie and a tie with Gee for second place after shooting a final round 3-under par 69. A two putt par from 12 feet would send Newman into a three-way playoff. A birdie would give the three time champion his fourth win. “I had a good line and the ball tracked right to the hole. It was about 12 feet and I was pretty happy when it went in. I didn’t want to be in a playoff,” said Newman. Newman won his fourth County Senior title. He trails all-time leader Joe Baker who won six Senior Championships. Newman finished with a 4-under par 68 for a tournament best total of 139. Gee and Sill finished at 140 in a tie for second place. 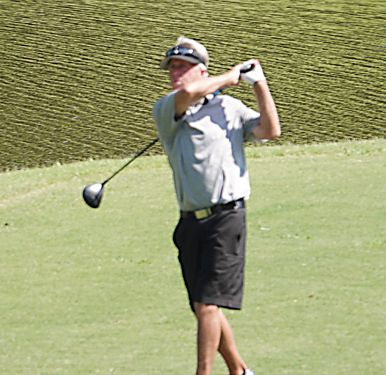 Ramey finished at 1-under par for a 141 total and third place while Max Fain came in fourth at 143. The Super-Senior championship was won by Roger Page who finished at 146, one shot in front of Don Turner and Bobby Cox. Flight winners included – First Flight, Doug Ramey, Second Flight – Norman Page, Third Flight – Jerry Griffin, Fourth Flight – Michael Gabriele. The Spartanburg County Women’s Amateur was held at the same time as the Senior. Stephanie Van Inwagen finished one shot in front of Betty Jean Armbruster for the county championship. 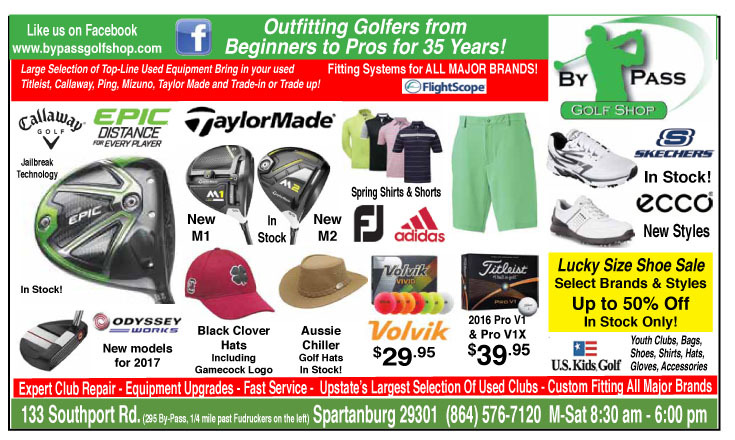 The First Tee of the Upstate organizes all the Spartanburg County Amateur tournaments and benefits from the proceeds of the events. 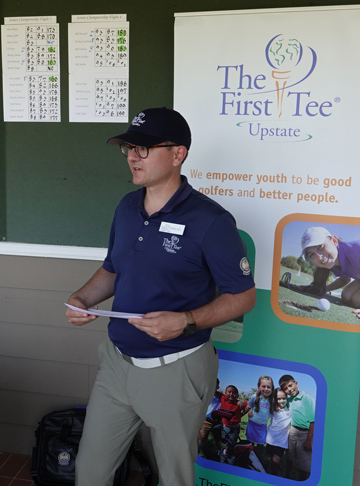 “The tournament helps us fund our First Tee programs and makes for increased opportunities for young golfers to benefit from the values taught by The First Tee,’ said Michael Pius, the Upstate’s Executive Director. 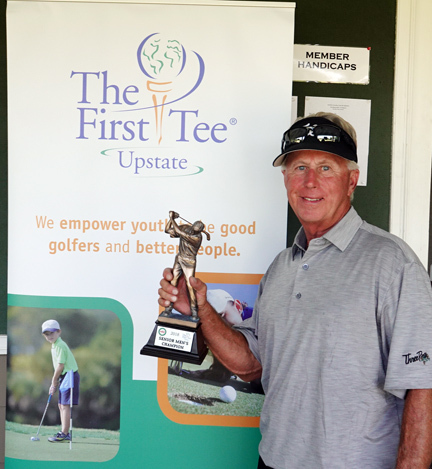 The First Tee of the Upstate Executive Director Michael Pius has seen the youth golf program double its reach in the last year. This year the combined chapters from Spartanburg-Cherokee County and Greenville reached 50,000 school children through that part of The First Tee program. Last year the Upstate program had 171 youngsters enrolled this year the number has doubled. “Every location we have programs at has increased in the last year. We are having a very good year and that means helping more young golfers develop in The First Tee program,” said Pius. 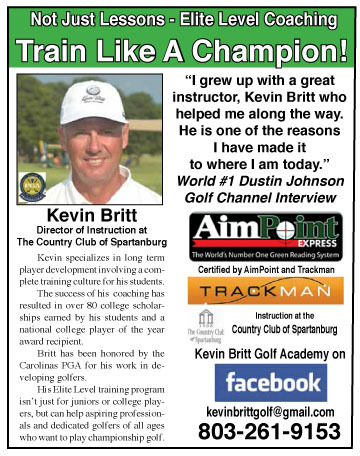 There are two more Spartanburg County championships available for residents or club members from the county. The County Junior Amateur will be played at Woodfin Ridge on June 26th and 27th. The tournament is open to boys and girls who have not graduated from high school. The Men’s County Amateur will be played at Three Pines Country Club on June 15-16-17. The field is limited to the first 139 paid entrants. 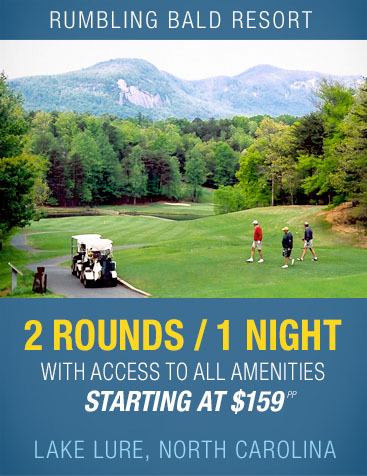 Entry information is available at http://www.thefirstteeupstate.org.